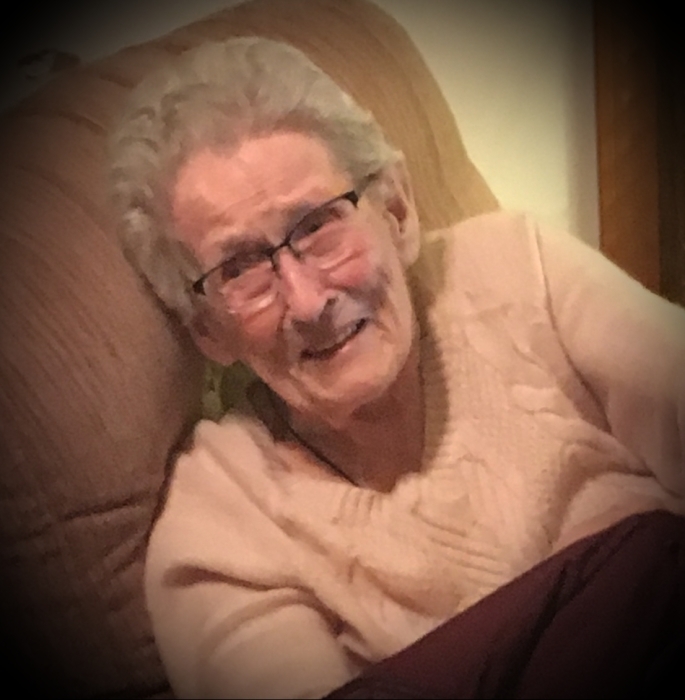 age 91, of the New Burlington, Ohio area, passed away Thursday evening, February 7, 2019 at the Clinton Memorial Hospital in Wilmington, Ohio. She was born October 30, 1927 in Sharonville, Ohio, daughter of the late Fred George & Edna Mary Anna (Schwagler) Eickenhorst.. On July 12, 1948 in Kentucky, she married Eugene "Gene" Burden, who passed away June 25, 2010. Surviving are her son- Carl (Sue) Burden of Sabina, OH; her doted upon grandchildren- Shane (Kari) Crowe, Shawn (Jeni) Crowe, Tracy (Rich) Stewart, Carrie (Dan) Hall, Robin (Greg) Hoff, Hillary (Mick) Schultz, Heather (David) Hertenstein, & Ryan Burden; 26 great-grandchildren, 2 great-great-grandchildren; and several nieces & nephews. In addition to her parents and husband, Dorothy was preceded in death by her son- Nile Burden in 1994; and 5 brothers- Albert, Fred, Ed, Leroy, Ernst Eickenhorst. Funeral Services will be held 2:00 PM, Tuesday, February 12, 2019 at Fisher-Edgington Funeral Home, 97 West Locust Street at North Mulberry Street, Wilmington. Interment will follow in the New Burlington Cemetery. Friends will be received from 1:00 PM until the time of services on Tuesday at Fisher-Edgington Funeral Home. To sign the online guest book, please go to www.edgingtonfuneralhomes.com.